The first time I’ve heard about Corntoz was the pillow fight thingy appearing on facebook and twitter updates some weeks ago, and since then I’ve discovered that it is actually a rather tasty snack that goes very well as meal replacement movie companion. Crunchy and full of that flavor you’d expect from a bag of goodness that gets you through the night. You know that feeling when you just have to munch on something. And speaking of movie, well, whenever there’s movies, there’s commercials. And since most of us aren’t exactly movie producers, we can always start small by being advertisement directors and actors first. So I hereby duly announce the Corntoz – Express Yourself competition! The key objective is very simple – get a pack of Corntoz from 7-11 or your favorite convenient store, go to corntoz.com.my, register and use the online tools (with a webcam and microphone) to make a video of a whacky and unique way of devouring Corntoz, …… and WIN!! If you’re using a webcam to shoot your video, then you can use the tools on Corntoz site which is quite interesting! You can change your environment (safari, aquarium, etc) and add props to pimp up your video to make it ever more whacky. If you don’t have a webcam, what you can do is to use a video recording device to record your video, post it up on youTube and upload it on Corntoz site. I decided to see what I can do without any tools and came up with the video above, awesome isn’t it!? Check out others too at Corntoz video gallery page. Here are some cool celebrity videos on the Corntoz site! Check them out! So if you wanna win big bucks with minimal investment (a pack of Corntoz, that’s all! ), make it happen already! 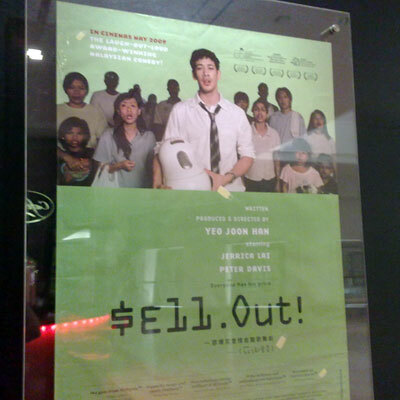 Thanks to the magnificent suanie and her connections, I was invited to the press screening of the local comedy SELL OUT last night. So horng, Suan, and I reached Mid Valley Gardens last night to find Gareth and Joshua among the few attendees to the screening who neither participated in the movie itself nor attached to any traditional media outlets. GSC Signatures is my favorite cineplex currently, and it would be great if there are more movie screenings there. Then again, I shall be grateful for not having to pay to watch screenings and premiers, beggars can’t be choosers. SELL OUT! is a movie about two person, Rafflesia Pong (yes, it’s a comedy) and Eric Tan who work for FONY media and FONY electronic division of the same conglomerate respectively. Rafflesia is a TV personality while Eric is a product designer, both of them share the same two unreasonable and demanding bosses. Rafflesia’s show about local artists were going nowhere; at the same time, Eric Tan invented a soya bean machine but met with resistance by the two bosses in marketing the device. The advanced on a different direction with Rafflesia getting a break after filming her dying fiance’s final poem on TV while Eric Tan split into two after being exorcised by a particular medium (ala multiplicity style). The story then proceed on and ended with one (or both of them) selling out after a lengthy process of quite a lot of nonsense that are, well, very humorous at times. Jerrica Lai played the role of Rafflesia brilliantly, while the Peter Davis was slightly disappointing as Eric Tan, the character was just a bit flat and “kayu” in my opinion. The format of the movie was very bold, with plenty of songs ala musicals in between that, well, could have been executed in a better way (they should be shorter, mostly). While a lot of the jokes in the movie were very funny and original, some of them were overused and got old after the 4th time. In fact, instead of nearly 2 hours, I really think that the movie would have been excellent had it been edited down to, say, an hour. That said, Sell Out! is still a pretty watchable movie. Being a local film, it is also expected that the colors/lighting and audio are not always perfect, there is no exception here but at least it was kept in a tolerable manner. I would place Sell Out! in between The Red Kebaya and Mualaf (which I watched in Singapore since it was banned in Malaysia). Don Don Japanese Take Away is a little restaurant located at the heart of Melbourne City that serves the cheapest and fastest Japanese food. 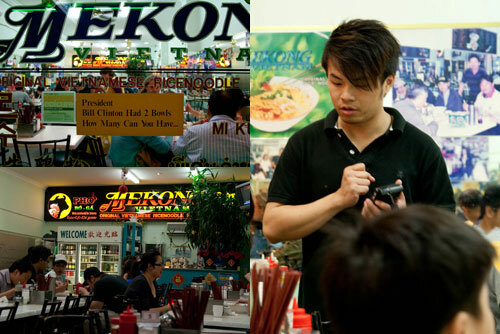 This place is also a favorite for Mell‘s housemate Jun Wei. 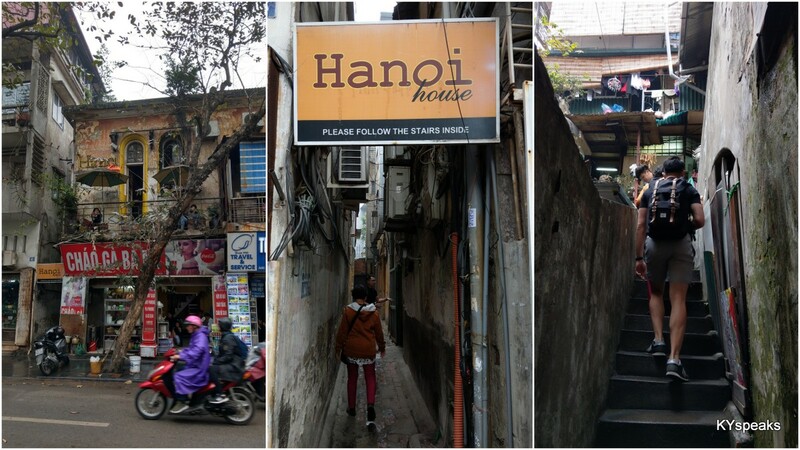 The restaurant is the size of a small apartment living room with less than half a dozen tables and at least half a dozen staffs crammed into the kitchen area. Efficiency is what they are best at. 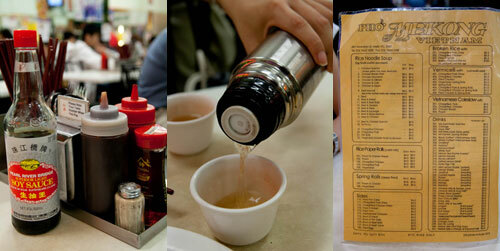 The menu at Don Don is anything but extensive, there are only about half a dozen choices to pick from. We got the Sashi Don and Don Don box for about $8.30 each set. The other selections on the menu include chicken teriyaki, beef sukiyaki, and curry don. The most amazing thing about Don Don is speed, there is practically zero waiting time. 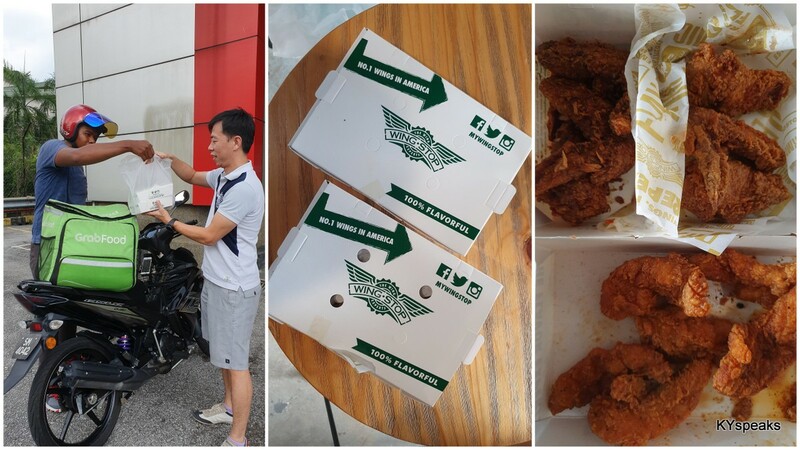 Order the food, pay, and collect. 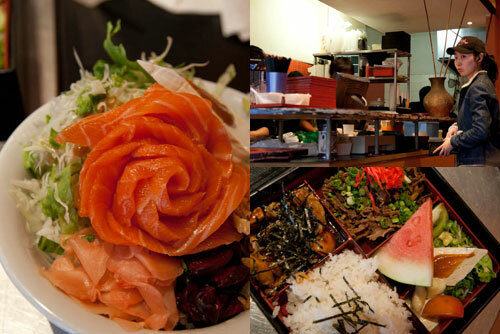 You actually get the whole bento within 2 minutes, faster than most fast food restaurants. The $8.30 salmon set had quite a large portion of salmon sashimi on top of sushi rice, and some other condiments, the fish were actually rather fresh and it tasted pretty good. The Don Don box came with a portion of beef sukiyaki (minus the soup), chicken teriyaki, rice, salad, and a slice of watermelon. A very good value. 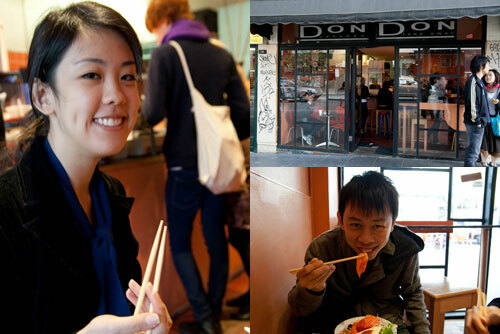 While the food at Don Don is not to be compared with the higher end Japanese restaurants, they are cheap, very fast, and offers excellent value. 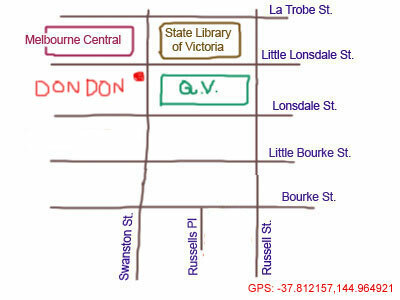 If you’re looking for a quick fulfilling meal at downtown Melbourne, you wouldn’t need to spend more than 25 minutes in total at Don Don. One of my all time favorite Chinese dishes is roast duck, the glistering fats and crispy skin makes for a perfect combination in texture and taste. 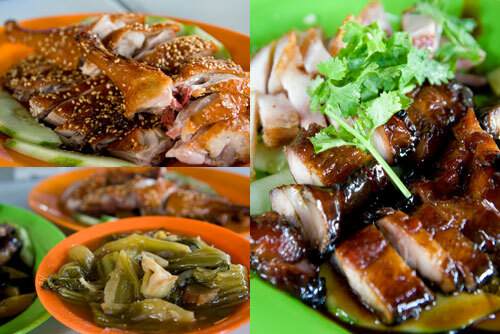 Being someone from Penang, a place famous for it’s hawker foods and Nyona dishes, I must confess that the standard of roast meat (be it roast pork, chicken, or duck) is generally far superior in Klang Valley than my home state. 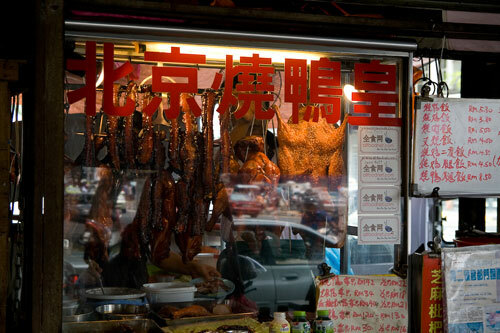 One of the most famous places when it comes to roast duck (and goose) would be Soon Fatt Peking Roast Duck. 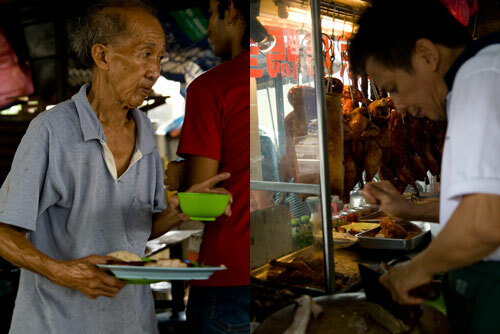 A hawker stall with make shift zinc roof tucked below a big tree by the busy road that is Jalan Pasar in KL. There is no luxury of air conditioning, table cloth, or even leveled ground; but I am always prepared to sacrify a little in comfort for delicious food. Our initial goal coming to this place was to try their famous roast goose (which I wrote blogged here), but as luck has it, they did not get their supply for the day and recommended that we try the sesame roast duck instead. We took up the recommendation and went for half a duck, a portion of roast and bbq pork, and a serving of sour and spicy vegetable to go with some yau fan (oily rice) for four of us. The sesame roast duck was one of the best dishes I’ve tasted in a while, my previous experience in this type of preparation was confined to sesame roast chicken at wedding dinners, but this duck was heaps better. The aroma of sesame fused with perfectly roasted tender duck meat and that crispy skin makes for a wonderful combination that tasted so well even sans the plum sauce. The bbq pork (char siu) too is on par with some of the bests in town, and while the roast pork (siu yoke) wasn’t overly impressive, it still held up pretty good in the taste department. The sour and spicy vegetable (xuen lat choy) provide a departure from the greesy and meaty taste that is very welcoming. The meal came up to around RM 50+ for four of us, it was a very fulfilling lunch despite the fact that we did not get the goose. 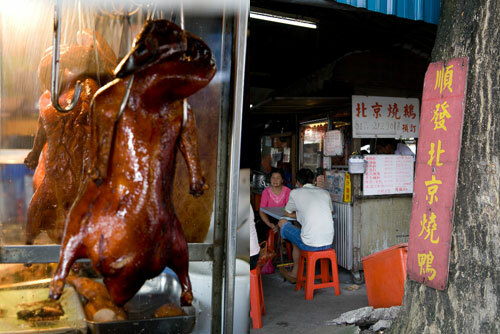 I’m planning for the next trip where I get the roast goose and sesame duck all in one meal! Melbourne city is populated with a huge population of Asian, and as many other Western countries, a decent portion of those Asians are Vietnamese for obvious reasons if you’ve ever watched Nam: Tour of Duty (which also has the awesome title song – Paint it Black). 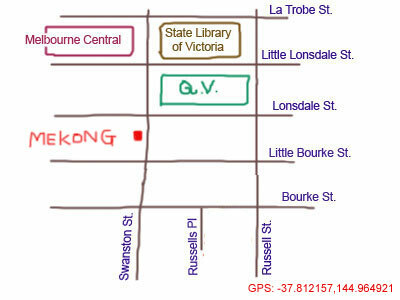 While Victoria Street north of Richmond, some 2km away from Central Business District has the most Vietnamese restaurants, there are quite a number of them right at the city center too, and none can be more famous than Mekong Vietnam at Swanston in CBD. I just had to go there since Mell was raving about it ever since I knew her. so Bill Clinton had 2 bowls, I had one. 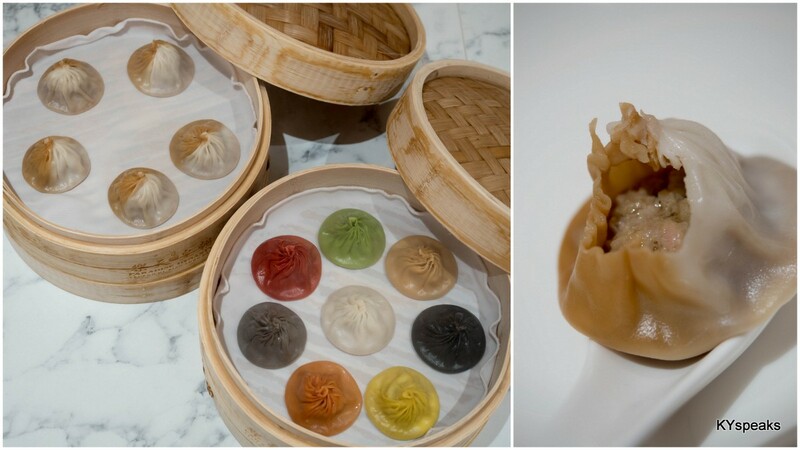 The restaurant is like many typical Asian outfits, with almost no effort spent in interior decoration, just lines of tables and chairs to maximize the number of patrons at any one time. 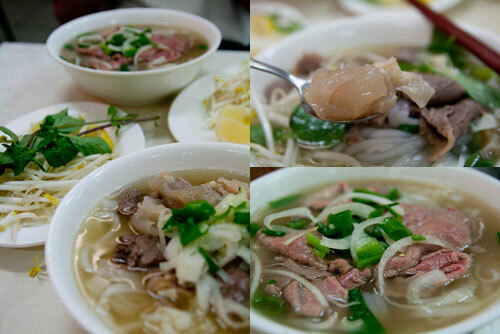 The menu is typical of many Vietnamese restaurants, with pho (rice noodle soup), cold spring rolls, hot spring rolls, rice, vermicelli, some sides, and drinks. The pho dishes are priced at $8 and $9 (big) while the most expensive vermicelli dishes (those with spring rolls and meat) at $11.50. As usual, I ordered a bowl of Pho with tendon, tripe, and brisket while Mell got the version with raw slice beef. We also had some free hot tea to go with the noodles, I love the fact that almost all restaurants will serve you either tea or water for free around here. The soup was pretty mild at Mekong and the pho used was actually just the normal “kueh teow” type instead of the more traditional Vietnamese noodle that is slightly harder in texture. However, the tendon, tripe, and the meat were all very tender and juicy. The overall taste was actually rather good, especially after asking the server for more basil (as I usually do anywhere outside Vietnam). It was actually a very satisfying meal, warm soupy dishes with cold weather always go very well together. 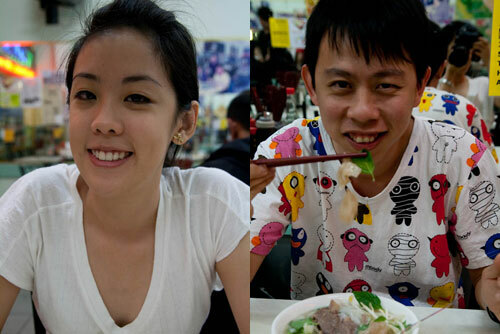 $18 for 2 person is also pretty cheap for a meal in the city short of fast food joints.